OUR MISSION: Provide a data-driven understanding of complex urban systems that are governed by both physical and behavioral sciences by pursuing novel science and technology to observe, measure, analyze, and model urban dynamics from city to global scales. The Urban Dynamics Institute (UDI) at Oak Ridge National Laboratory (ORNL) in conjunction with the Climate Change Science Institute is recruiting a senior research scientist in the area of the Impacts, Adaptation, and Vulnerability (IAV) science. The successful candidate will be a thought leader in the field of IAV research. She/he will be expected to grow and lead IAV projects and staff that advance the state-of-the art in the research, modeling, and analysis of climate change impacts. The Geographic Information Science and Technology (GIST) Group in the Computational Sciences and Engineering Division (CSED) at the Oak Ridge National Laboratory (ORNL) is committed to a data-driven understanding of complex urban systems that are governed by both physical and behavioral sciences by pursuing novel science and technology to observe, measure, analyze, and model urban dynamics from city to global scales. To support this mission, GIST is seeking a mid-career to senior computational scientist for urban systems with interdisciplinary focus on urban growth, economics, population, mobility, water, energy, security, and urban resiliency. 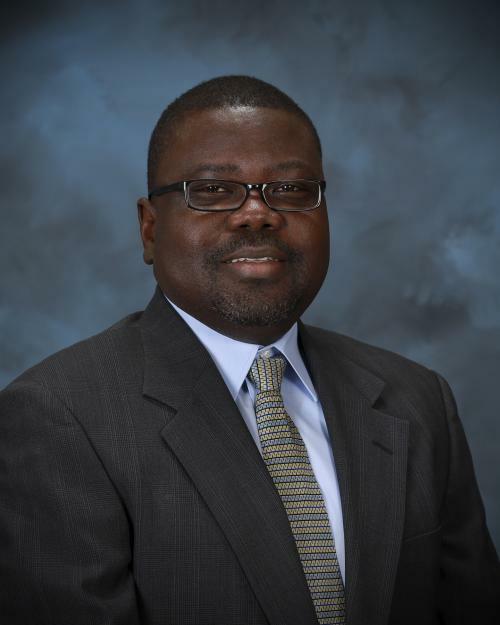 A successful candidate will be responsible for developing a basic and applied R&D program portfolio around computational methods for urban systems including large scale data aggregation, analytics, modeling, and simulation. 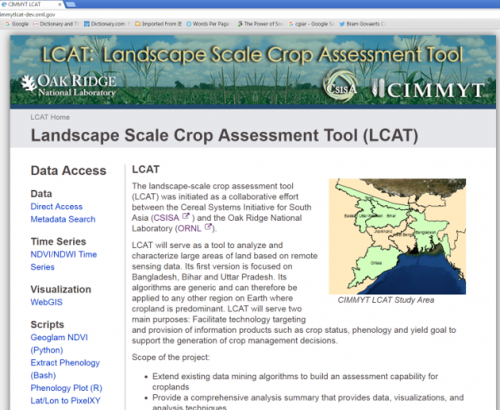 Scientists from the Oak Ridge National Laboratory (ORNL) Climate Change Science and Urban Dynamics Institutes (CCSI and UDI) conducted a training session on the ORNL-developed Landscape Scale Crop Assessment Tool (LCAT) in New Delhi, India, May 2–3, 2016. During the session, 15 members of the International Maize and Wheat Improvement Center (CIMMYT) were trained on the use of LCAT, a suite of remote sensing–based data and data analytics capabilities that provides critical information for sustainable agriculture and food security.